The Conversion Diploma is designed for students without a first degree in philosophy who wish to pursue study in philosophy at the graduate level. It consists of two semesters of coursework, involving a selection of undergraduate modules—typically advanced Honours modules and one or two core modules. Though your modules are drawn from the undergraduate Programme, we treat you as part of the large and flourishing graduate community. 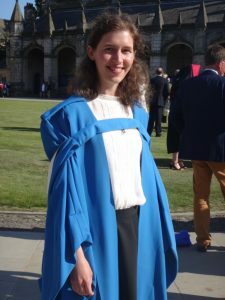 Satisfactory performance on the Conversion Diploma leads to entry onto our MLitt / MPhil Programme. The Programme is increasingly popular and draws students from all over the world. Typically, there are 8-10 students on the Programme from a variety of backgrounds—theology, fine art, science, and the humanities. Most of our students go on to study at the Masters level and many have gone on to pursue philosophy at PhD level and beyond. You may also study for the Conversion Diploma part-time over two years. The Programme includes seminars on how to plan and write a philosophy essay. This ensures that you will be able to get to grips with the demands of the Programme whatever your academic background. You are also assigned an academic advisor who will guide your studies and give advice on how to apply for study at the Masters level. 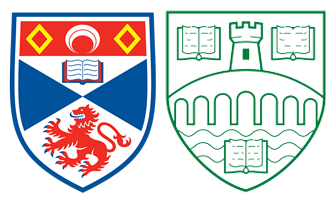 As part of the graduate community at St Andrews, we also invite you along to the Graduate Reading Party which is held every October. This involves a trip to the Scottish Highlands for the weekend. It provides a great opportunity to get to know the other graduate students and to meet and interact with staff members. This year, the Reading Party will take place on the weekend of 19th October to 22nd October 2018 at The Old Inn, Carbost, Skye. Full details of the reading party will be circulated at the start of the session. Please get in touch with the Director of the Conversion Diploma Programme, Dr Patrick Greenough, for further information and advice. And please come up to visit St Andrews if you wish to know more. We will be very happy to show you around and introduce you to students already on the Programme. Our Current Conversion Diploma Students can be found here. “I completed my undergraduate degree in Medicine in Sudan and decided, after six years from my graduation, to shift my career to philosophy. Coming from a completely different cultural and educational background, I was unsure of how I would face the academic and financial obstacles ahead and concerned of how I could compete, to progress in this new career, with those who studied their undergraduate degree in philosophy from all over the world. However, thanks to St Andrews’ supportive, educative and embracing department I found the SASP Conversion Diploma a very smooth, solid and enlightening transition. I managed through this program to considerably raise my philosophical skills and academic endurance. 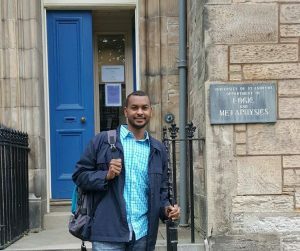 I completed the SASP MLitt and proceeded to the SASP PhD, receiving funding from the department to complete both degrees.” Amr Yassin, Class of 2016-2017, starting his PhD on the SASP Programme in January 2019. This page was last updated (by Patrick Greenough) on 12th October 2018.